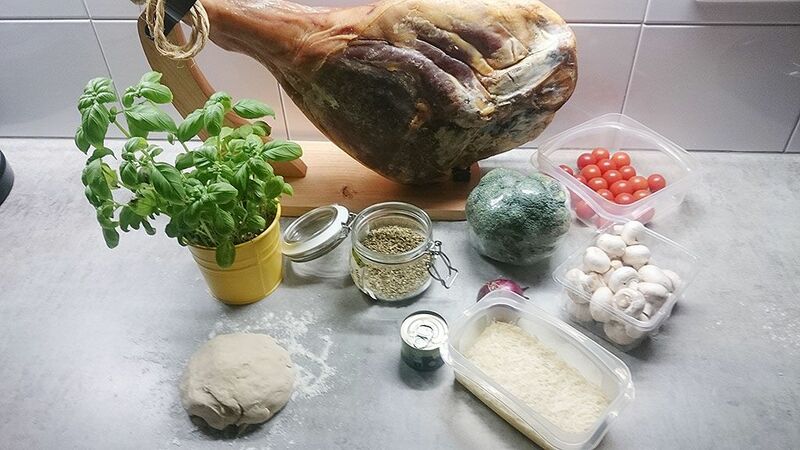 If you want to make your own pizza dough, it’s easy, follow our step-by-step guide here. PRE-HEAT the oven to 190 degrees celsius or 375 degrees fahrenheit. FILL the medium-sized pan with water and bring to a boil. CREATE small broccoli florets and boil them for 3 to 4 minutes. CREATE a very easy tomato sauce by combining tomato paste, dried oregano and water. Season with pepper and salt. PEEL and chop the red onion into half rings. CHOP the mushrooms into slices. SLICE the cherry tomatoes in half. DUST your work surface with flour and use a rolling-pin to roll out the dough. 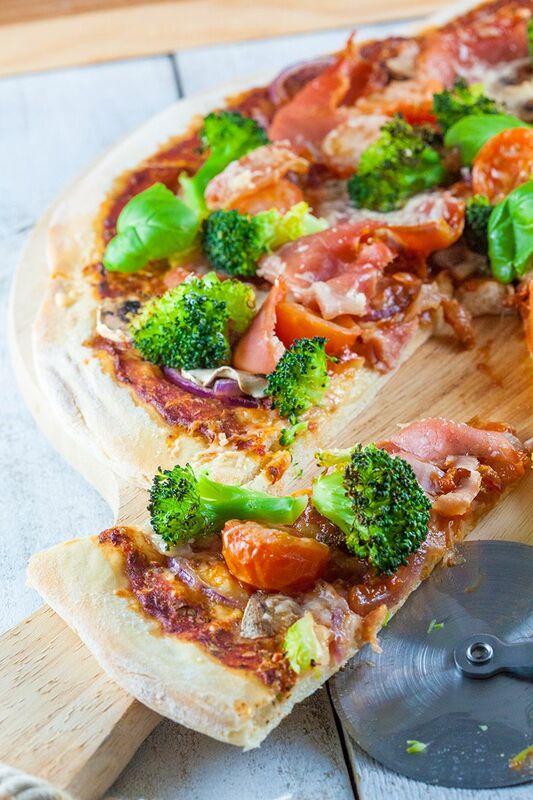 TRANSFER the dough to an oven tray and divide the tomato sauce. 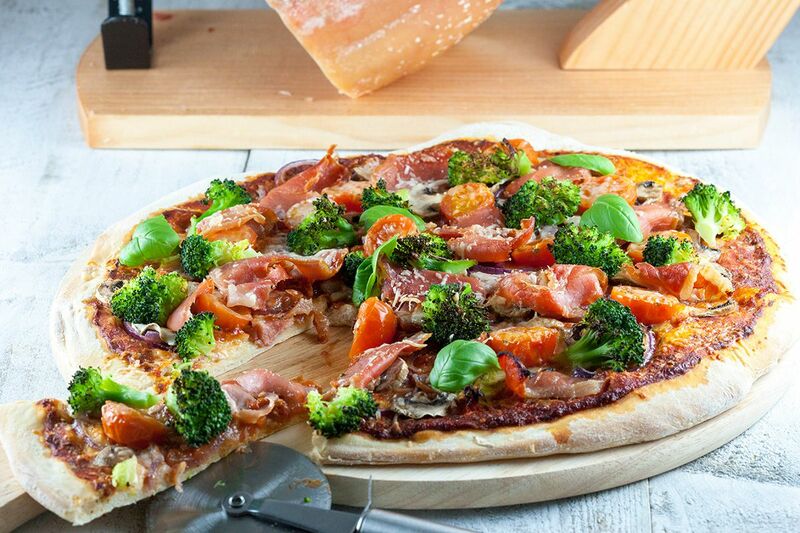 DIVIDE the red onion, mushroom slices, broccoli florets, Serrano ham and cherry tomatoes over the pizza. Top it off with grated Parmesan cheese. 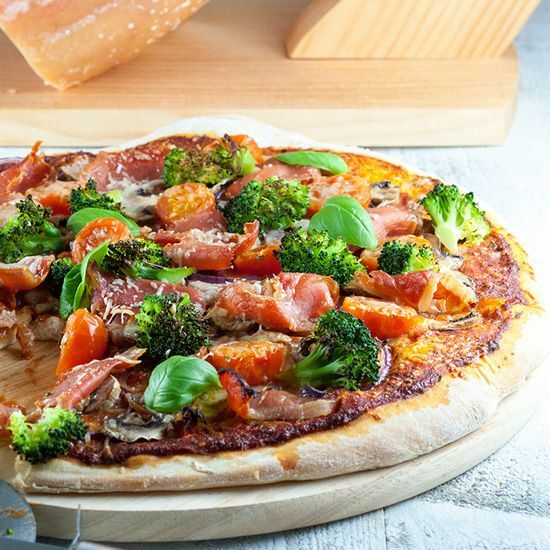 BAKE the pizza in the oven for about 20 minutes, or until the pizza crust is beautiful golden brown and crispy. Finish the pizza with basil leaves.